Etymology: Named for Malcolm Swain of the NSW National Parks and Wildlife Service. Snout-vent length: To 134 mm. 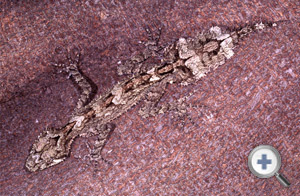 Distribution: Found in the coastal ranges of south-eastern Queensland and northern New South Wales.